I always try to incorporate some charm in everything I do. 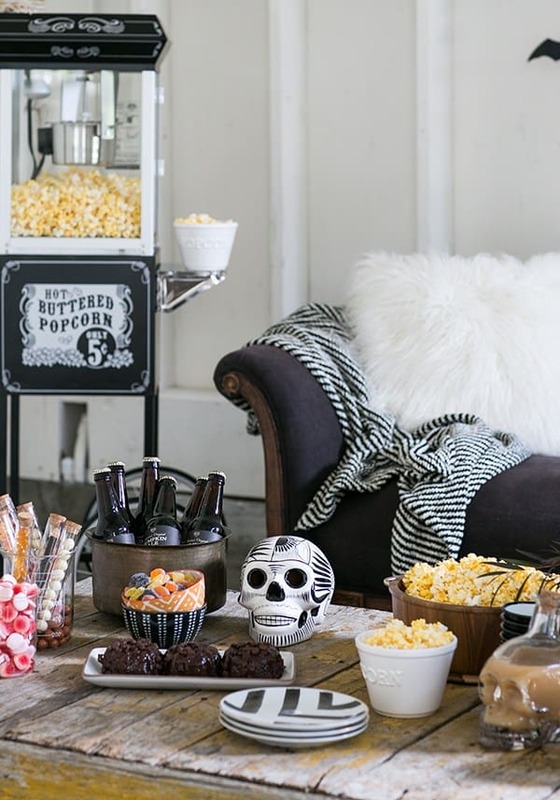 Halloween is no exception, so we put together a charming Halloween movie night. I love Halloween! 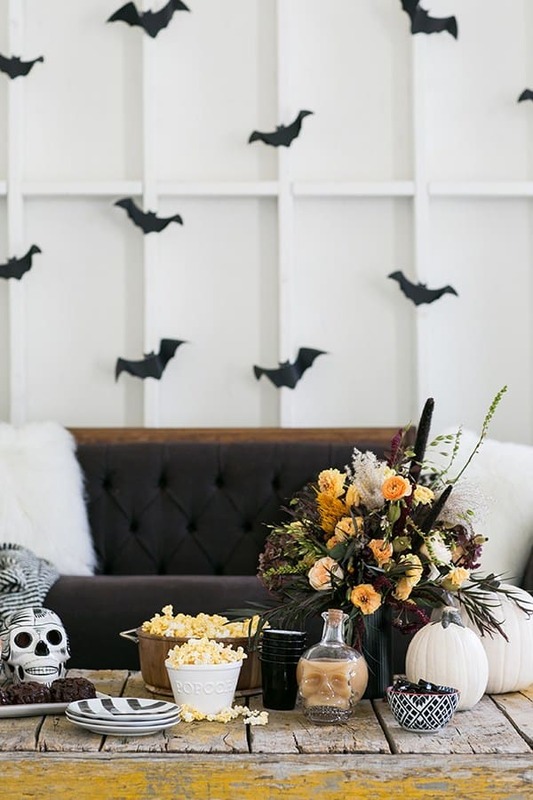 Mostly for the fact that it kicks off the holiday season — pumpkin carving, dressing up, homemade chili and trick or treating. It’s also been one of my favorite holidays for entertaining. Every year, I host a small Halloween night for Romeo and a few of our close friends and nothing makes me happier than creating those memories for their childhood!! I LOVE it! 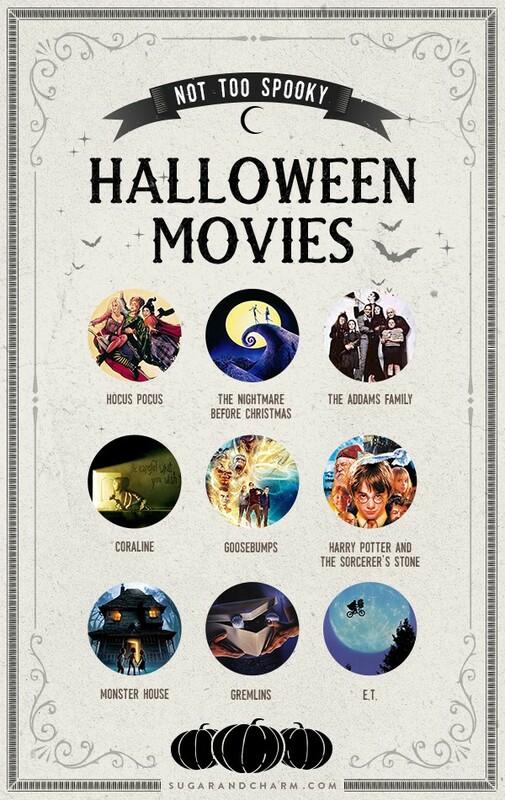 We do like to keep it light with some not too spooky Halloween movies! I shared a few of my family favorites below… who likes stuff frightening anyway?! 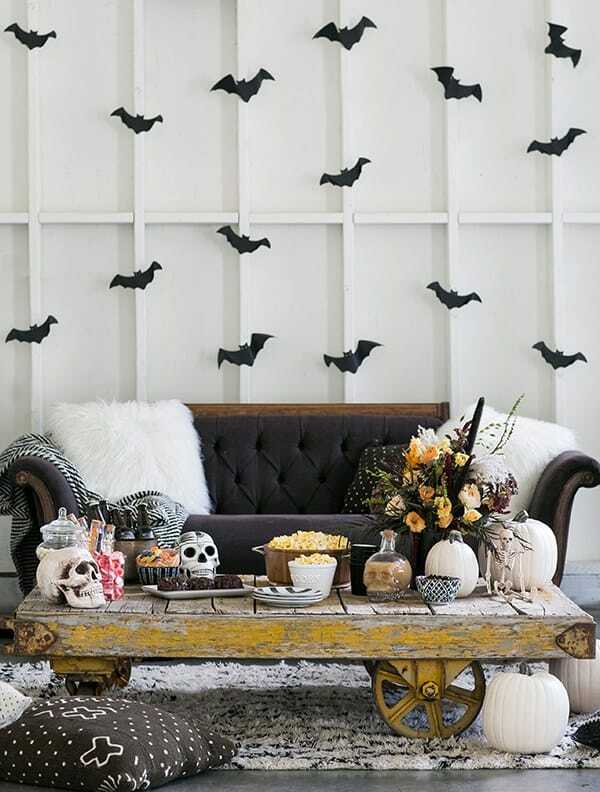 I like just a little spook! NO need for the crazy stuff! 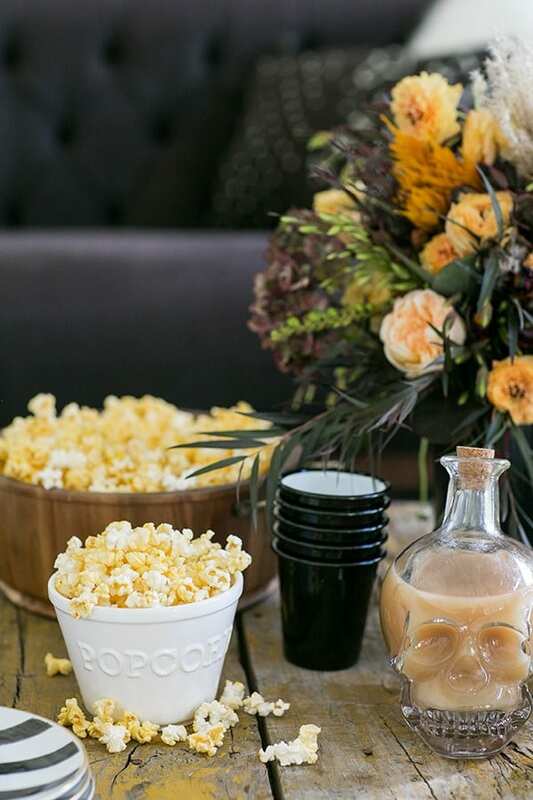 Below are some of my favorite items and tips for hosting a charming Halloween movie night. Flowers! 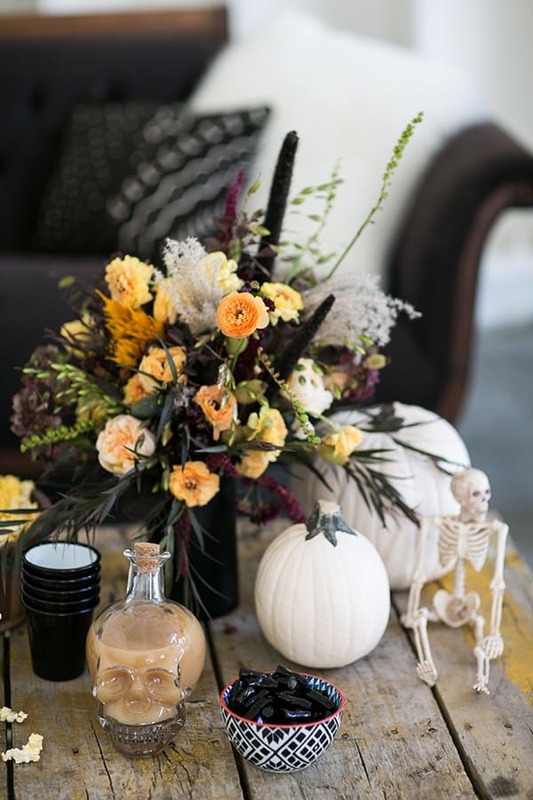 I say this every time, but what a difference flowers make, even when hosting a Halloween party! 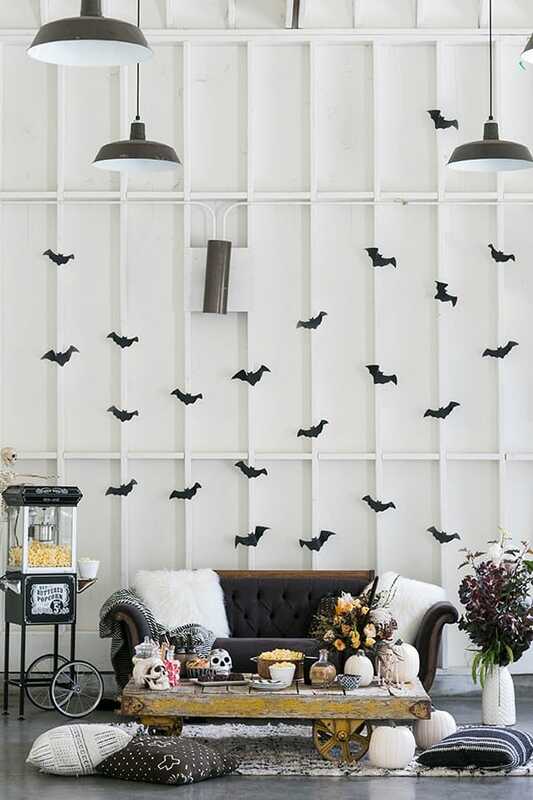 For simple decor, the paper bats were incredibly easy to stick on the wall. 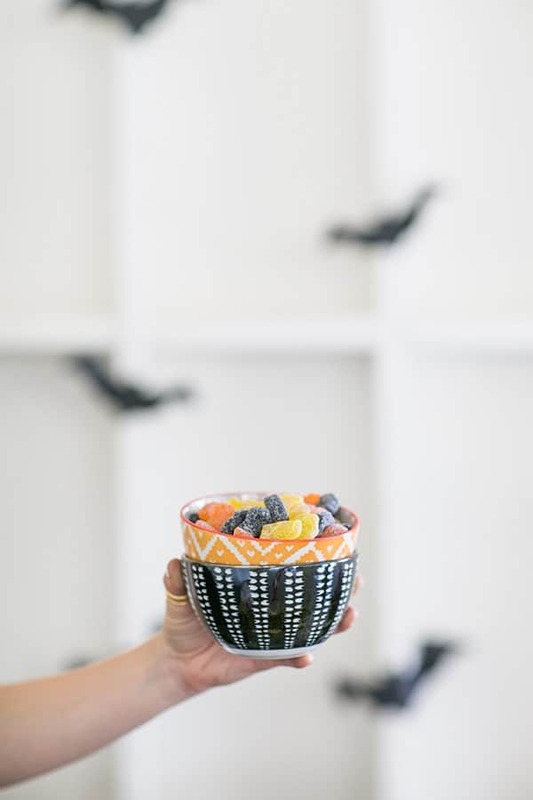 I used the ones from Martha Stewart’s Halloween collection, so easy and fun! Stocked up on candy from one of our favorite boutique candy stores, Sugarfina! 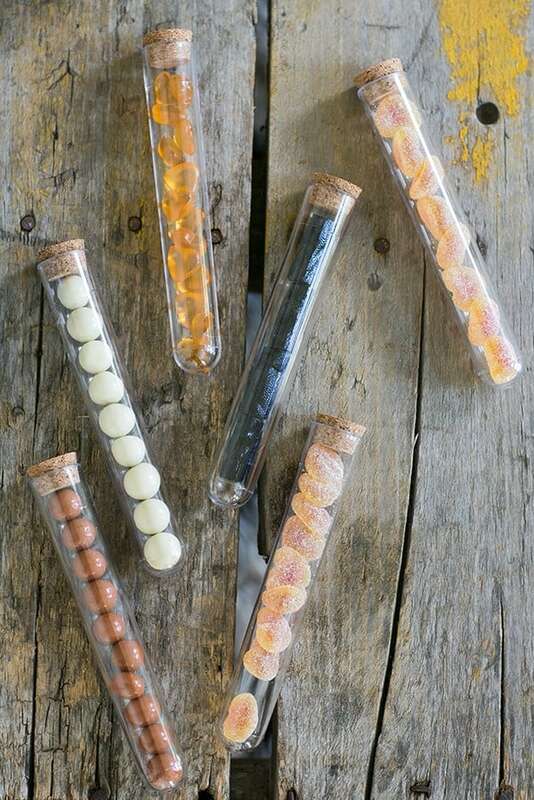 I filled bowls with candy, as well as these clear tubes! The zombie brains are by far my favorite!! For food, I always make chili or pot roast when entertaining for Halloween. 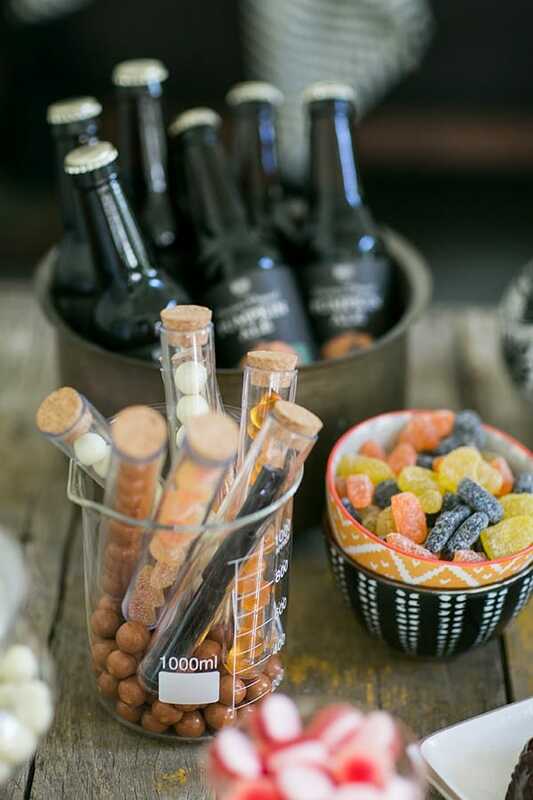 And for easy drinks, pumpkin beer and spiked apple cider are always delicious! I used this glass skeleton decanter for spiked cider! 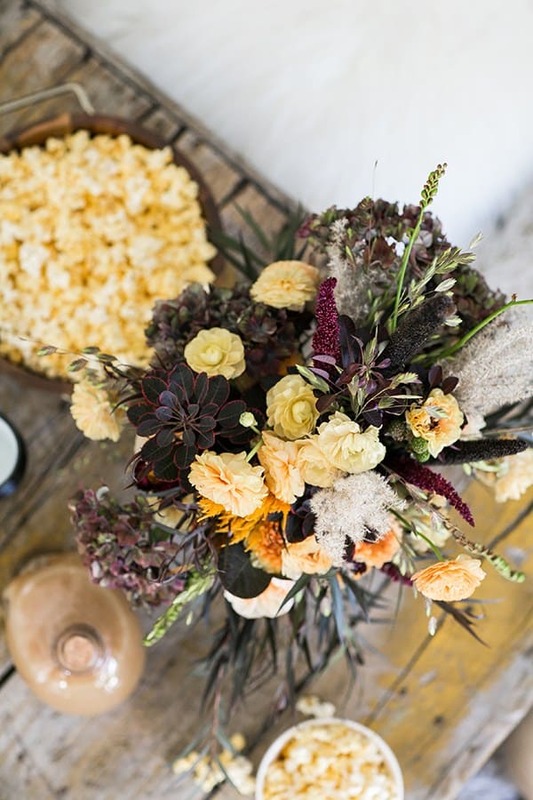 I loved the old school charm this popcorn machine brought to the party! 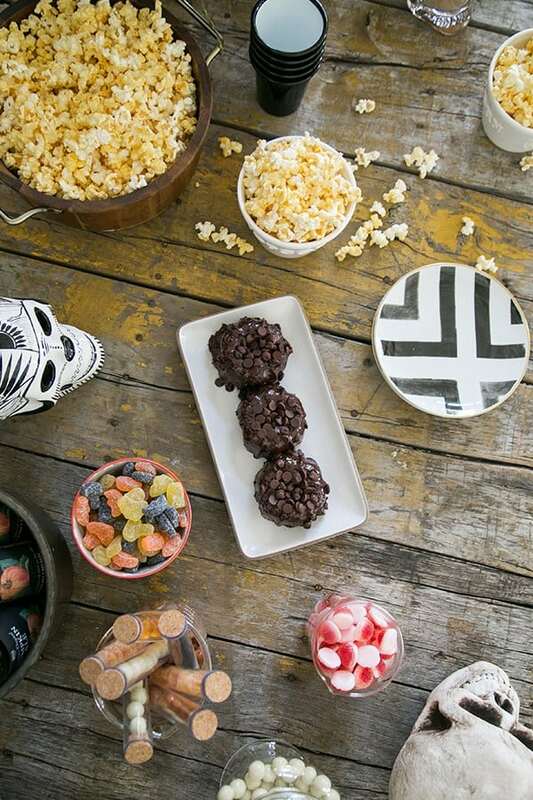 You could even add yummy toppings to the popcorn too! Our spicy popcorn is always a hit! 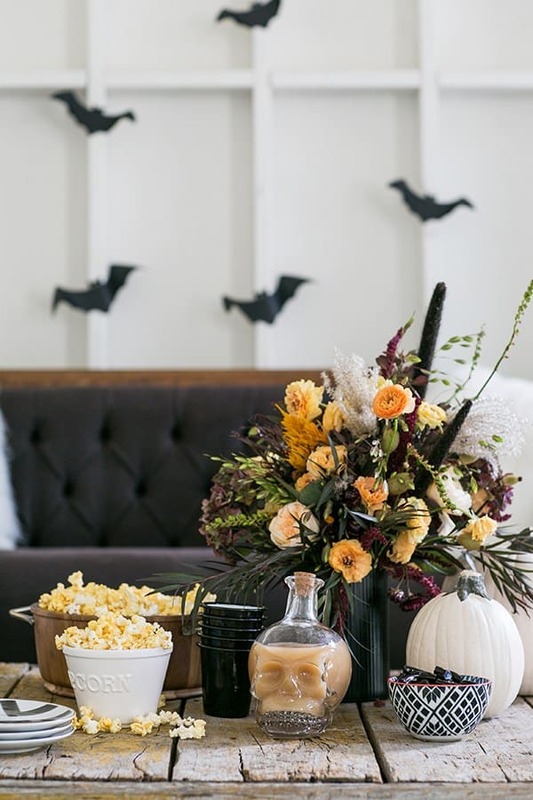 Now invite some friends over for pumpkin carving and a create a fun Halloween movie night! Yay!! Thank you so much Tieghan!!!! !